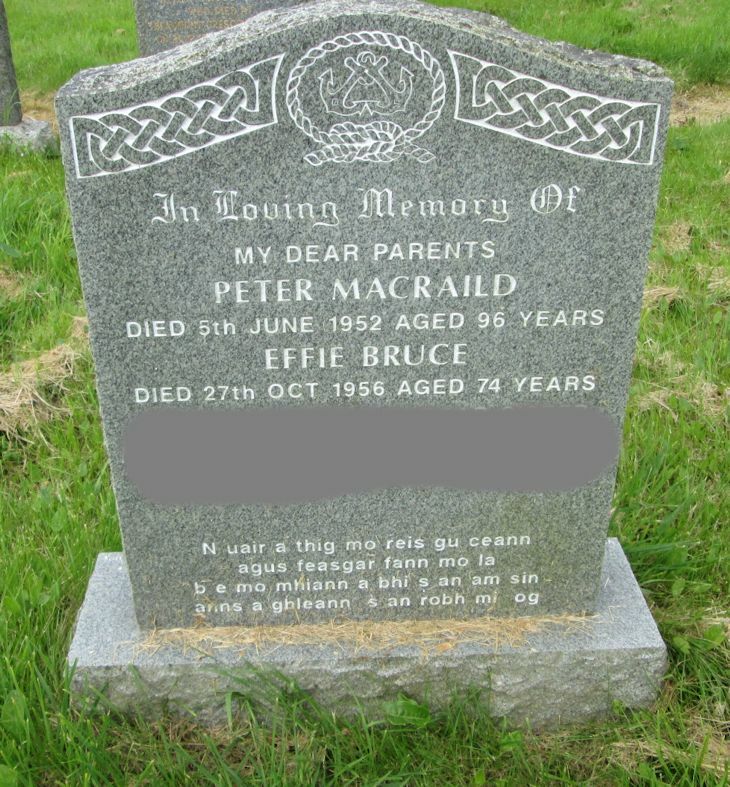 Skye Gravestones | Peter & Effie (Bruce) Macraild. Peter & Effie (Bruce) Macraild. In loving memory of/my dear parents/PETER MACRAILD/died 5th June 1952 aged 96 years/EFFIE BRUCE/died 24th Oct. 1956 aged 74 years/["recent"]. N rair a thig mo reis gu ceann/agus feasgar fann mo la/be mo mhiann a bhi s an am sin/anns a ghleann s an robh mi og. Added by Flora Macdonald on 10 November 2018.